On the 23rd of March 2015 the Minister of Education announced a proposal to close Redcliffs School. The Board of Trustees and the community have until the 1st of May 2015 to make submissions regarding this proposal. 1. Both the MWH Geotechnical Report and the Education Report state that with the right protection in place the site is viable and safe. The site is safe. 2. The proposal to close the school is focussed on the potential disruption of education that could be caused by a future rock-fall event – however no work has been done on the likely effects of this event, or on a technical solution. The Board believes that these problems are solvable and is focussed on this task. Disruption to learning may not occur or it may only be a technical or logistic problem that can be solved. 3. Minister Parata has stated that this proposal for closure is not based on financial considerations. However, the Board believes that the cost of the solution to any disruption is far outweighed by the social and economic benefits to the ministry, staff, students and wider community. It would be socially and economically damaging to close our school. 3. 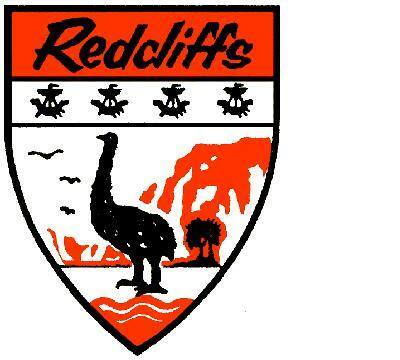 The Support Redcliffs School campaign will be engaging with the whole community over the coming weeks. This is a timeline of the events leading up to this decision. October – December 2010: at the suggestion of geotech Mark Yetton, who was contracted by DoC at the time, and through the determination of the school Principal and Board, a rock bund was constructed at the rear of the school and operations took place to remove lose material from the cliff face using water. February 22, 2011: the bund contained the overwhelming majority of the rock fall from the earthquake with only a small number of rocks coming onto the school site. February 22 – June 2011: Following the February earthquake MWH began rock-fall modelling of the cliffs and a set of safety measures were put in place, including moving and disuse of a number of school buildings and the installation of a shipping container barrier and fly rock fencing. August 2014: Final GNS data is made available to MWH and the final version of the MWH Redcliffs School Mitigation Report is completed. August 2014: The Board has the opportunity to contribute to a first version of the Education Report that includes the technical reports. This report had gone to the Minister for Education just before the September election. December 2014: the Board is informed that the Minister is seeking further clarification on some aspects of the report. April 19 2015: Over 3000 people from all over Christchurch Walk with Redcliffs in support of keeping the school open. Please Like and Share us on Facebook, to spread the word.